Well the new year is with us, and with it new buses seem to be arriving across the state Red Decker, Redline, Tassielink, Wells Waggons, Jacks are just some of the many operators sporting new vehicles early in 2016. Some are about to arrive this month, whilst others entered the state late 2015, but only starting to make appearances now. In other TBCS news, 134 is now housed and on display at the TTMS, complimenting their bus display, whilst 706 (which has kindly been donated by Metro > TBCS when retired) is STILL plying the streets of Hobart, whilst others around it (712 & 14) have been retired due to mechanical issues. It is hoped, once the "new" ex Skybus artics start making an appearance, 706 will join our fold. 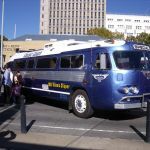 By February, 706 will be 31yrs old the OLDEST BUS STILL IN Government service in Australia. Metro fare changes tomorrow Click here for details. Metro Hobart route changes only 8 days away Click here for details. 14 was noted in active service yesterday on the cricket specials. Tas Bus Nut wrote: #14 semi-retired. To be used sparingly. Are the remaining Volvo B10ML artics in Hobart likely to still be lurking on the northern express routes next week with the network changes? Would be interested to know too if there are any particularly interesting routes to ride on, I saw there seems to be a few routes to coastal towns that on the map look like they might be nice places to visit but I've got no idea where is where apart from looking at a map. 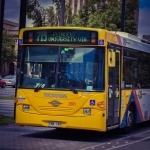 BroadGauge wrote: Are the remaining Volvo B10ML artics in Hobart likely to still be lurking on the northern express routes next week with the network changes? There generally is NO specific route that the B10Ms run on. Over school vacation, not many are used, so it would probably be pot-luck unfortunately. Best bet would be heading into the City and hope they turn up in town. The "coastal towns" as you call them, are NOT covered by urban Greencard, so the fares are quite expensive, particularly since you CANNOT buy return tickets. Places like Margate, Snug, Woodbridge, Middleton, Sth Arm, Opossum Bay are all classed as NON-urban and are expensive to access. Scenic routes include: Mt Nelson, Kingston via Taroona, Camelot Park. On Transittimes, there is an alert telling me that the X30 Bridgewater Express is as fast as a car to the City. Is this just spin or are the times similar? Lt. Commander Data wrote: On Transittimes, there is an alert telling me that the X30 Bridgewater Express is as fast as a car to the City. Is this just spin or are the times similar? Haven't done one yet. Based on 'old network' times it would come down to the driver. Inclined to say spin, but by doing some tomorrow it would give me a better idea on the efficiency of the timing points. Have noticed that since the introduction of the "400" series to Burnie, have noticed that a couple of "200" series have returned to Hobart still sporting AOA for Burnie and North West Coast businesses. leyland clippers wrote: Have noticed that since the introduction of the "400" series to Burnie, have noticed that a couple of "200" series have returned to Hobart still sporting AOA for Burnie and North West Coast businesses. Wouldn't say AOA, just big one sided ads. 205, 208, 213, 215, 244, 630, 631, 633 are here. A request for an observation! I have been reading in The Mercury about traffic congestion the past two weeks. There is some suggestion that new Metro timetables are seeing pax go back to their cars. Any thoughts from you troopers on the ground. Regardless of change, traffic flow is stuffed. I've still got my regulars, only heard of one story where they've taken to carpooling. 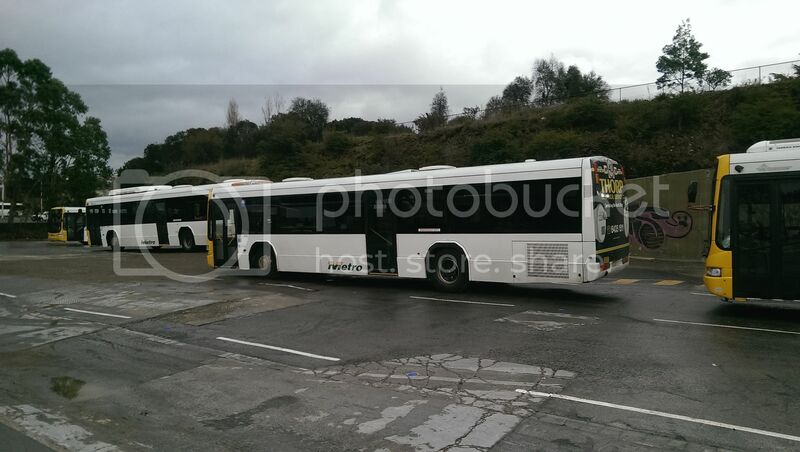 Well, on the Metro bus front, the L94/CR228s are all in service in Burnie #400 > #408. #409 (K230/CR228) was seen in workshop this afternoon, so should be on the road by end NEXT week (you'd think). ex Skybus MAN artics are still slow in entering service, with the (2) already in service (#731/#732) constantly in sick bay #733 is painted and almost ready to go, receiving mechanical work before entering service. Tasmania's own Redline have their brand NEW Bonluck "President" on their Main Rd services #63, whilst the other (2) Bonluck "Senators" are in Launceston, awaiting to enter service. They will be numbered #81 / #82. Tassielink Transit's new K320/Bustech is seen regularly now around Hobart, fitted with new ORANGE LED electronic destination sign. It was delivered with WHITE LED electronic sign. Tasmanian Bus & Coach Society's Annual Tour is locked in for April 16/17, with FINAL costings by end of this weekend. At this stage (subject to change) $75 (members) $100 (non-members). This includes: ALL transfers, ALL attractions, lunch Sat & Sun PLUS DINNER Sat evening. Thanks to Tas Bus Nut's pictures of Metro CB80 #343, I can confidently say that it's now housing an AOA for Richmond Zoodoo Zoo! Well, things have been sneaking up on us recently, and over the month of May, the TBCS conducted their annual tour around Hobart, along with attending Shannons Show & Shine and the annual TasBus Conference. In the photo section, you'll find pictures from all these events. End of May also saw Metro closing their "Hobart Meal Room" for drivers, and relocating to a temporary site at the old Boral concrete location near the Cenotaph. 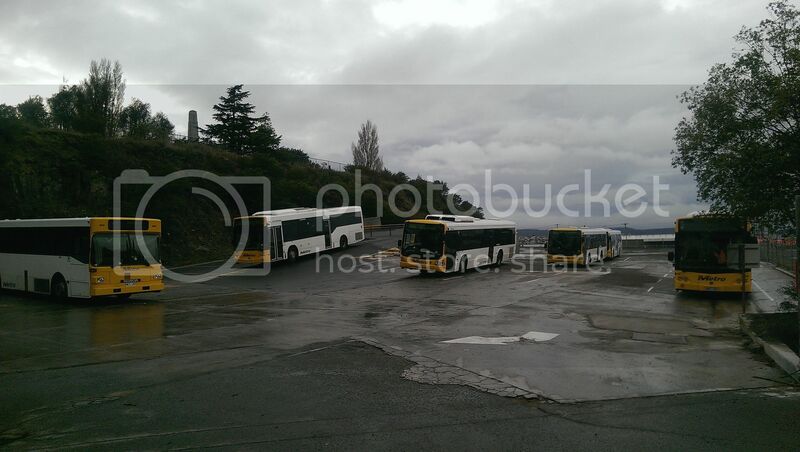 Below are a couple of photos of the buses parked at the new site. It's not that bad, a bit worse than Aldgate depot, but not that much. Don Hazell, the man behind Hobart Coaches has passed away. The Mercury story here.